Carter attended both Oklahoma State University and the University of Utah with full scholarships in wrestling. He qualified twice for Olympic wrestling competition and won all-around gymnastics champion in the states of Montana, Texas, Louisiana, Oklahoma and Arkansas. Sponsored by the Marriott Corporation, Carter’s “Gymnastics Fantastics” professional trampoline team gave over 500 performances to more than 500,000 spectators in 1974 and 1975. Carter trained his own children on the trampoline and placed them in the show as well. He was amazed to observe their remarkable endurance gains, dramatic coordination improvements and accelerated mental development. 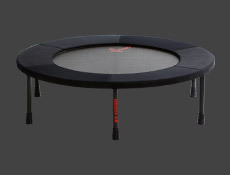 Recognizing that his family’s exceptionally good health, superior strength, and other benefits were somehow connected to his work on the trampoline, Carter set out to discover the positive effects of rebounding on the human body. His research resulted in the start of a new industry, the book Rebound To Better Health, 1977, and the development of the first home-sized rebounder “Dyna-Bound”. His second book The Miracles of Rebound Exercise, published in 1979, became a national Health and Fitness 1.3 million best-seller. Rebounding was the springboard for Carter’s thirst for knowledge regarding good health. “The Healthy Cell Concept”, presented in his books The New Miracles of Rebound Exercise and The Cancer Answer, is the result of over a decade of research on all the components necessary for perfect health. Al Carter, as a lecturer and educator, has shared his findings on health and rebound exercise all over the world. In 1983, by special invitation of the Hong Kong government, Carter taught 35,000 members of the country’s police and fire departments about the healthy Cell Concept and the benefits of rebounding. Since that time, he has also presented to numerous medical groups worldwide and has appeared on national television in the U.S., Australia, Hong Kong, and the Philippines. Today, Carter is recognized as the world’s greatest authority on Rebound Exercise. 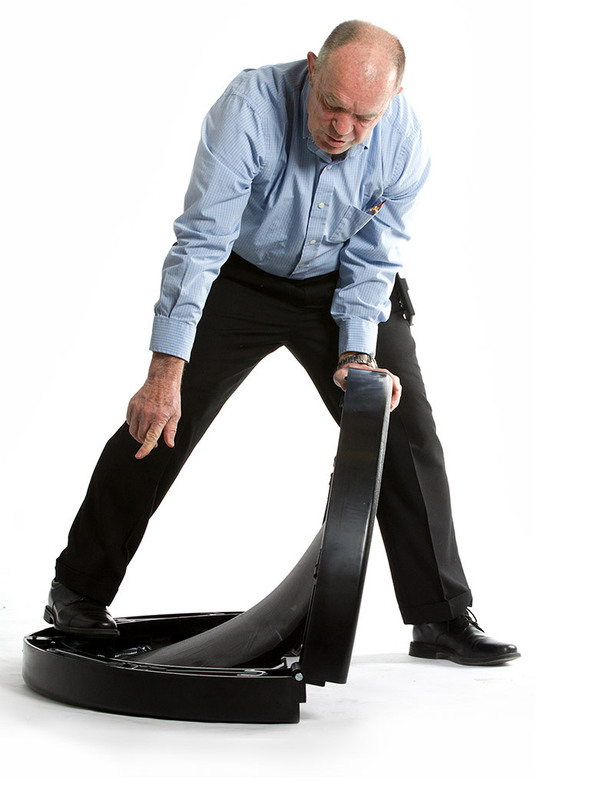 Carter, with his team of Engineers at Brigham Young University, created the most innovative rebounder on the market today–the Quarter Fold rebounder, which was patented in 2006. Together, they explored new territory incorporating polycarbonate—a tough composite material to build a frame. The frame was designed to allow all 36 springs to reside comfortably in individual spring-wells–making a spring cover unnecessary, and the 4 hinges are completely hidden from view. 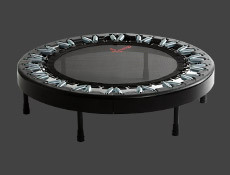 Looking forward, Carter’s passion and mission is to present the global market with the highest quality rebound exercise equipment and to continue his legacy in educating health-conscious individuals the benefits of rebound exercise. 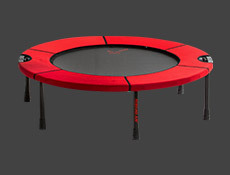 Visit our homepage to learn more and browse rebounders & mini trampolines, books, & DVDs. As an engineer (and as someone with firsthand knowledge of “N brand”), I am blown away by the genius and simplicity of the design, the quality of the materials, and the flawlessness of the workmanship. I also listened to your CD (wish it had been a video as I would love to see you in action — did you say you recently turned 67?). You, sir, are the Zig Ziglar of the exercise industry.